Wall Street has opened sharply higher Friday as investors are buoyed from comments made by Fed Chairman Ben Bernanke overnight, signalling further monetary policy easing was on the way. Anyone who watched the broadcast may have been struck by the uncomfortable posture and lack of conviction emanating from the Fed Chief. Bernanke reiterated verbatim some of the phrases and observations made by Vice President Koln two days earlier, to give the impression the FOMC were at one on where monetary policy needs to go - at least Messrs Bernanke and Koln are at one. Based on some of the other speeches we heard from members of the FOMC this week, it is now apparent there is very clear division within the FOMC on whether rates need to be cut again so soon. Bernanke might be undermining the role of the Fed by allowing monetary policy be dictated by financial markets, meaning the Fed is merely playing a supporting role. With headline inflation currently running at 3.6%, the Fed is playing a very dangerous game indeed, particularly as up to now the US Fed is the only major Central Bank to have altered monetary policy to alleviate stresses in financial markets. The funny thing is the dollar has held up remarkably well Friday considering the events that have just passed in recent days. Add to this the fact Euro-zone inflation rose to a 6 year high in November (3.0%), virtually ruling out any hope of easing on the part of the ECB in the foreseeable future. Today is the end of the month and a closure of dollar short positions is seeing the dollar appreciate across the board, which may come as a surprise to many. The euro has got a bounce late on Friday over recent weeks, but it is seriously on the back foot right now as the dollar breaks below 1.47, though there may be a rebound later in the day. There does appear to be some correction of the dollar, but as to whether that will be carried through to next week remains to be seen. We could potentially see a decline to 1.4660 today and to as low as 1.45 next week, although a new month dawns on Monday and the greenback may once again find itself on the defensive. Strategy: Stay out until Monday, until we see where the current attempted correction closes. Another bad day for cable which has drifted to around 2.0550, though crucially the first line of support at 2.0520 remains intact. UK Consumer Confidence hit a 4 year low in November according to the latest survey released today by the Gfk group and next week’s Bank of England meeting makes for an interesting time. The odds against a rate cut next week are still of the order of around 60%, but with the Fed forced into action and no sign of a let-up in the liquidity tightening, the MPC may be pressed into action sooner than some of Committee members would like. Sterling is facing into an uncertain week and the likelihood is the currency will face tentative trading ahead of Thursday’s key rate decision, and sterling may struggle to attract much buying support. The dollar has shown some muscle this week and cable offers the best value for a sell-off of the pound, with any rallies close to 2.07 likely to attract strong selling interest early next week. The pound could find itself pushed right back to 2.0246 over the course of next week. A broader sell-off of the euro could see sterling push the single currency back to around 0.71, but in view of the risks ahead, I would not like to make any sterling bids, at least not ahead of next Thursday. The pound also risks sharp retreats against both the Swiss franc and the yen, if risk aversion re-emerges in global stock markets. Strategy: Sell down cable on prices close to or above 2.07, with target prices of 2.0550 and 2.0460. The Japanese yen has been the principal victim of the Fed’s comments on monetary policy this week. The Japanese currency at one stage today was down almost 4 cents from its high earlier in the week against the dollar. The prospect of further monetary easing in the US has led to an increase in risk appetite and a lack of demand for the low yielding yen. There is much complacency in the current move though as in essence what we are seeing is markets rallying on the back of what is economic uncertainty and bad news. The underlying fundamentals are exactly as they were this time last week, or if anything they are worse as economic data published this week point to an accelerating slowdown in the global economy. The Fed is prepared to let stocks dictate near-term policy however and stocks this week are rallying exclusively because of the Fed’s verbal intervention and acquiescence. 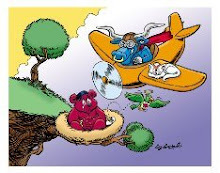 Memories are notoriously short in equity markets and by next week markets will run out of reason to extend the current rally and we could see another sharp reversal lower. This will benefit the yen. The US currency offers no value above the 111-112 price range and it will take but a single day’s sell-off on Wall Street to see the yen appreciate back to around 109. It is best to wait until there is a rise in risk aversion evident before coming in to buy the yen. Look out for any potential late sell-off on Wall Street tonight. The yen is also down 0.6% against the euro Friday with the pair currently hovering around the 163 price level. There may also be value on selling down this pair at levels close to Y164 next week, when uncertainty returns to the market. The loonie has finally ceded the parity line with the dollar Friday, two and a half months after breaching it for the first time in 30 years. Loonies followers tried bravely to defend the psychologically important levels for the past 3 days, but today the weight of a broader dollar move saw resistance at the 1:1 level give way. The dollar failed to manifest a clean follow-through and the pair has sparred around the parity line for most of the afternoon. It will be a surprise however if the greenback does not pull away above the line ahead of Tuesday’s Bank of Canada rate decision. While today’s quarter 3 GDP number at an annualised 2.9% rate came in much higher than anticipated, this is essentially of historical consequence particularly as the most recent economic data has pointed to an accelerating slowdown. After Ben Bernanke signalled the Fed would likely move to cut US rates again in December, this might be the cue for the Bank of Canada to act next week. Canada faces a similar economic dimemna to the US, but it has the added complication of a recent lack of competitiveness because of the strength of the loonie and a cooling global demand for the countries commodities, which constitute over 50% of the country’s exports. Inflation is also more benign in Canada than in the US and it could prove to be a grave mistake if the Bank of Canada flounder and don’t act to allow the economy more breathing space in the immediate term. A 0.25% cut on Tuesday seems likely and with markets still unsure as to whether the Bank will act or not, the loonie will struggle to gain bid support in the run-up to the announcement at 14:00 GMT Tuesday. USD/CAD could be destined to rise to between 1.02 and 1.03 by Wednesday, if the Bank of Canada delivers the necessary. Any retreat back to levels close to 0.99 between now and Monday will offer a good buying opportunity. It is too risky to buy the loonie against any currency before the Bank of Canada rate decision. Strategy: Buy USD/CAD on any dips in price between 0.9920 and 0.9950. Target price is 1.0020, followed by 1.01, 1.02 and 1.0250. Long run position is to go short on the loonie and wait for price to hit 1.05. The euro took a bit of a battering this morning for the second consecutive day, dropping a full cent to 1.4723, before rebounding back to the current price of 1.4770. It is encouraging for the dollar to be able to bounce back so quickly following the intervention of the Fed’s Koln Wednesday evening, who sparked the biggest rally on Wall Street for 4 years by suggesting the Fed would cut rates (effectively) to bail out financial markets. While the dollar sank in late trading Wednesday, it has since recovered and is trading higher against most currencies. US data was mixed Thursday, with quarter 3 GDP revised upwards to a staggering 4.9% annual rate (not bad for an economy said to be on the brink of a recession), jobless claims rose unexpectedly by 23K last week, while New Home Sales again disappointed, reported at a lowly 723K rate in October, against a forecast of 740k. German unemployment fell by a greater than expected 53K in October and the jobless rate in the euro-zone’s largest economy now stands at 8.6%, down from 8.7% a month earlier. Other euro area data today was mixed. Having established a break below 1.4780, there is potential for the dollar to push the euro back to 1.4660 on Friday, but it needs to close below 1.4780 this evening for the pair to retain a bearish bias. Fed Chairman Ben Bernanke speaks later this evening in Charlotte (00:00 GMT) and if he gives any hint about Fed intentions for the December meeting, it will have a major market impact. Bernanke is more tactful however and it would be some surprise were he to be blatant and commit the sort of faux-pas we got from his Vice President Wednesday. Strategy: Sell rallies above 1.4820 with target of 1.4730, moving to 1.4660, once 1.4610 gives way. Stop loss at 1.4860. Beware Bernanke Speech! Sterling rocketed late Wednesday making significant gains against almost every currency. There didn’t appear to be any reason, other than that jolt higher yielding currencies experienced following a speech from the Fed’s Koln. Sterling has been on the back foot against the dollar and the euro for most of Thursday, although sterling is merely trading around the levels it was at on Tuesday. The latest housing survey from Nationwide reveal UK house prices fell 0.8% in November while the number of mortgage approvals reported by the Bank of England for October were 88K, down from 100K in September. Ongoing softness in the housing sector and credit stresses in financial markets add up to increased pressure on the Bank of England to cut rates sooner rather than later. MPC voting member Blanchflower (a well known dove) called for an early reduction in interest rates Thursday, while Governor King said inflation and growth risks were finely balanced when he testified in front of the Parliament Treasury Committee this morning. The Bank of England deliver their December policy statement on Thursday next and given the underlying risks for sterling, if rates are to be cut, it is likely we may start to see a greater liquidation of sterling long positions over the next week. Cable would appear to offer the best value in chipping away at the pound, but until the dollar can deliver the pair below a price of 2.0520, the best value in selling down the pair is to come in at prices over 2.07. Last night’s exaggerated rally to over 2.08 offered a huge temptation to cable bears, many of which seized the opportunity, as evidenced by the sharp decline seen Thursday. Cable could well end the week around 2.05, if the dollar sustains its broader market rally. Sterling does have the potential to appreciate back to levels around 0.7120 against the euro, but only because there are many more euro longs than sterling longs in the market and a dollar assault could hurt the euro more than the pound. Friday sees the releases of the Gfk consumer confidence index for November, but it should not have too much market impact. Be confident because you may need wide stops with current volatility. The theme will remain the same – sterling will be sold on any significant rallies. Beware the Bernanke speech tonight in case he says something that might damage the dollar and thus our immediate cable prospects. Strategy: sell cable on prices above or close to 2.07, with target of 2.06 and 2.0550. A strong close for the dollar against the pound this evening could mean we see 2.05 Friday. The Vice Chairman of the Fed delivered what will go down as one of the most controversial speeches ever by an FOMC member, when his speech Wednesday in New York single handily pushed Wall Street to its biggest single day gain in 4 years and leading to the largest 2-day stock rally in 5 years. It also sent the dollar into sharp retreat on a day when the currency had just earlier been experiencing a rare period of strength. I do not have the time or space to go through the detail of just what Koln said, but the implicit message taken by financial markets was that the Fed would cut rates and cut them aggressively, if needed, to bail out financial markets. In fact Koln’s speech is riddled with contradictions and his direct market intervention at a time when markets are going through what is a long overdue and ‘reality check’ correction, is nothing short of scandalous. There is a little footnote at the bottom of Koln’s speech ‘These are my views and are not necessarily those of my colleagues on the Federal Open Market Committee’ but this afterthought was either not seen, or it was selectively ignored, by the many armies of frantic marketers that set out on a panic spate of stock buying and dollar selling. What is the point in the FOMC meeting behind closed doors to deliver monetary policy if there is a member of that committee out there getting markets to price in his policy prerogatives before the FOMC has even discussed the issues? Koln believes monetary policy must be ‘nimble’ and designed to placate financial markets. Koln threw markets on their head Wednesday and EUR/USD was exceptionally volatile and traded in a wide range of 1.4712 to 1.4858, giving up more than a cent late in the day as traders quickly off-loaded dollars as the rate outlook began to rain on the greenback. The odd thing is that markets had already priced in a 0.25% cut in December from the Fed but markets began to see many more cuts over the horizon thanks to that speech in New York. Fed Chairman Ben Bernanke speaks Thursday and what he says will be highly significant. If he backs the remarks made by Koln and delivers the same sentiment, then the dollar will fall further. US GDP revisions for Quarter 3 are expected to show growth in the quarter grew by 4.8%, against the 3.9% reported last month. That is one hell of a growth level for an economy apparently on the brink, but such is the nature of current market sentiment, the data is unlikely to boost the dollar and instead the currency’s direction will be determined by Ben Bernanke’s comments and to a lesser extent by the New Home Sales data at 15:00GMT. We have German and French unemployment data out Thursday also but these are unlikely to impact the market very much unless they surprise very sharply on the downside. We could have another voltiale day of trading Thursday, but with so much rate cut talk about in the US, it is difficult to see how the greenback s going to make much progress. Strategy: We could see some corrective move downwards tonight as markets may be seen as having delivered an exaggerated response to the Koln speech. I would still be inclined to buy the euro though on any dips towards 1.4750, with an initial target price of 1.4860. It is highly possible we might see another run above 1.49 tomorrow, if the euro holds up tonight and the negative rate sentiment against the dollar carries through to Thursday’s European session. Bob's away on Forex-related business and is strapped for time, so the next currency focus article will appear on Wednesday evening. Meanwhile, Bob likes the Aussie dollar tonight, expecting it to rise against the greenback, euro and sterling currencies. Get out before mid-morning as stock markets could give back today's gains later tomorrow, which would not be good for the Aussie. AUD/USD is safest trade - target 0.8845, S/L from 0.8735. A more stable day on currency markets Monday with the upsurge in liquidity removing most of the volatility we saw last Friday. The euro looks as if it wants to appreciate some more but some elements of the market are unsure and the upside was limited to 1.4885 so far today. The pair is little changed on the day and the lack of direction is not helped by the dearth of economic data. European stock markets closed lower, but US markets are flat as we speak, yet any sharp move to the downside on the Dow this evening could spell trouble for the dollar by rekindling demands for a December Fed rate cut. There is a key indicator for the euro out Tuesday in the German Ifo Business survey and it is important this key sentiment index does not disappoint greatly, to ensure the euro maintains current levels of confidence as the market seeks to challenge the 1.50 price mark this week. If the Ifo index is good we could test 1.50 later Tuesday or Wednesday, particularly with major risk indicators (consumer confidence Tue and existing home sales Wed) due out in the US over the next 2 days. For now it is a case of sitting it out and playing it safe, but as long as 1.4785 holds in the coming days, the momentum will remain bullish. If the euro again has a premature run at 1.50 (against a backdrop of any further weak euro data) we could witness another sharp retreat, one which this time might potentially bring us right back to 1.4660. Because of the very high ratio of longs in the market there remains the danger of a strong correction at any time and bidders should start to employ tighter stops. Watch the data Tuesday and listen for any Central Bank speak. Strategy: short-term buy on dips below 1.4830, using 1.48 or 1.4780 as a stop loss with targets of 1.4880 and 1.4920. Wait for opportunity to sell down the pair around 1.4940, if the euro rallies above 1.49 but fails to break above 1.4970. This is a data light week for sterling, with nothing of any note released up to Thursday. The key question on everyone’s minds thus far is effectively ‘will they or won’t they?,’ essentially asking if the Bank of England will cut rates next week or if they will decide to wait until early 2008. Sterling is riding high again Monday, thanks primarily to a renewed interest in carry trades and the pound has risen against both the dollar and the euro today. Cable looks dangerously high to me on levels above 2.07, for a currency that might be hit with a rate cut in a little over a week’s time. Hometrack reported early Monday morning that UK house prices slowed to an annual rate of 3.6% in November, with prices actually declining by a marginal 0.2% on the month. I’m not sure who is buying sterling at present, but it is unlikely to be anyone with a longer run view, so it is dangerous to be buying cable at elevated levels, even if the dollar’s is nobody’s friend right now. I still like to sell down cable on prices around 2.07 or above, with targets of 2.06 and 2.0550. Sterling will continue to attract strong selling pressure on any runaway rallies, because there are still many wise old traders that can read between those carry lines. I still do fancy sterling though to manage to pull the euro back to 0.7150 at least, simply because the EUR/GBP pair remains overbought and the euro may have some questions to answer of its own/. Strategy: Sell cable on prices above 2.07, with target prices of 2.06 and 2.0550. Stay away from EUR/GBP but do sell the pound against the Aussie dollar when risk aversion levels fall and stock markets are rallying. The yen struggled overnight when Asian stocks took off but has come back into its own again this afternoon with European and American stocks faltering and credits woes on the rise. A bad close on Wall Street could trigger a very bad night for Asian stock markets and possibly pave the way for new peaks for the yen. USD/JPY is now just above the 108 price mark and the pair might return to the 2.5 year low at 107.56 (set on Friday) by tomorrow morning, if Wall Street closes poorly. There are no major data releases to impact the yen tonight, but any market moves in financial markets that raise the prospect of a Fed rate cut in December will see the Japanese currency advance. The currency offers little value though at present levels, particularly since it could correct sharply the other way at any time, if risk aversion levels suddenly were to fall. My preference is to wait on opportunities to sell the yen, especially against the euro, which would seem to have more upside potential against the currency than the dollar. Strategy: Stay clear until risk aversion levels fall (stock markets rebound) then buy EUR/JPY with initial target prices of 162.00 and 163.00. No data to influence direction Monday and USD/CAD has remained stuck in its now fairly lucrative 0.98 to 0.99 band. The loonie is still protected by high oil and gold prices, with Nymex crude once again hitting $99 a barrel earlier today before retreating to just below $98. Oil prices are however masking the underlying problems for the loonie and with quarter 3 GDP expected to print at a lowly 2.3% later this week (against 3.4% in quarter 2 and 3.95 in quarter 1), doubts about the outlook for the Canadian economy will begin to intensify in the build-up to next week’s Bank of Canada rate decision. It will be a surprise to me if more and more Canadian bulls don’t exit the market ahead of the Bank of Canada and all the risks for the loonie right now look to be to the downside. I continue to prefer buying the US dollar against the loonie on dips and indeed this has proven to have been the most profitable trading strategy across any of the major pairs in the past week. Strategy: short-term: Buy USD/CAD on dips to below or around 0.98 (stop at 0.9760) with target prices of 0.9880, 0.99 and 0.9930. Longer-run: Buy USD/CAD on prices below 0.98 with stop at 0.95 and target price of 1.02 to 1.05 (move stop to 1.0 when parity level convincingly broken). Will interest rates be cut on December 4? The Bank of Canada meets on December 3rd and 4th next week to deliberate and to deliver the Central Bank’s latest monetary policy decision (Tuesday the 4th). This is arguably the most important policy decision in 18 months as much has changed since the Bank last met in early October. Inflation has slowed, with the Bank’s preferred core rate falling to 1.8% in October, the slowest rate of inflation since June 2006. The headline rate also slowed, to 2.4% from 2.5% in September. Inflation is now lower in Canada than in the US and with the Fed in an easing cycle, the Bank of Canada is expected to follow suit, albeit in a less aggressive manner than the Fed. The key question is whether the Bank of Canada will move to cut rates now or wait until early 2008. Recent economic data may well make the decision somewhat less painful for the Bank and it will be something of a surprise to me if rates are not cut next week. Underlying fundamental data points to some deterioration in the Canadian economy: retail sales in quarter 3 recorded the first quarterly decline since the final quarter in 2003; exports have dropped significantly over recent months, particularly for durable goods and in September the economy’s trade balance narrowed to its lowest level in 4 years; manufacturing shipments are falling consistently with outlook bleak as new orders are falling at a sharpened rate; GDP for quarter 3, reported later this week, is expected to print at an annualised 2.3% rate, down substantially from the 3.4% rate recorded in quarter 2 and the 3.9% reported for quarter 1. On top of this we have a scenario where the neighbouring US economy is slowing and is expected to slow further, hardly good news for the export-oriented Canadian economy, where 80% of all exports go to the US. To round it off we have the Canadian dollar still trading 20% higher on the year against its US counterpart, which is taking a huge slice off corporate profits and rendering many Canadian manufacturers and exporters uncompetitive or redundant. The global economy too is showing distinct signs of weakness and the idea that a commodity-rich Canada can flourish while the country’s major trading partners sink is far-fetched. The time is nigh for the Bank of Canada and it is pointless them using the record tight labour market in Canada to adopt a wait and see approach. Labour is a lagging indicator, but jobs will be shed very quickly when things turn nasty, and the undercurrents already suggest the screw is turning. By acting now the Bank of Canada will demonstrate they are thinking proactively, while a cut should also mean some further correction in the value of the loonie and at least allow Canadian producers compete at a fairer exchange level on international markets. Governor David Dodge has complained that Canada has had to carry too much of the burden of a weakened US dollar, but the way to right this wrong is to help drive the Canadian currency to a more realistic value level. While currency valuation is not the policy imperative of the Bank of Canada, currency manipulation on the part of the speculators that have placed Canada’s economy at risk should be. In any event, aside from the risks posed by a strong Canadian dollar, recent domestic data in Canada points to an economy which is slowing, an inflation rate which is slowing and increasing external risk from growing uncertainty in the US and global economies. Why wait? Forecast: Bank of Canada to cut the key interest rate from 4.5% to 4.25% on December 4. EUR/USD open price Nov 25 - 1.4868. Last week +1.77 cents. Friday produced some volatile market action when liquidity levels were low and the euro soared to 1.4966 before being pegged back during the European session. The very fact the market was able to move to such a high at all demonstrates there remains little resistance to the euro’s current ascendancy and Central Bank intervention appears to be some way off. The downward trend in US stock markets and softer economic data has futures markets now pricing in a 90% chance of a further Fed rate cut in December. With the ECB continuing their hawkish tone against an outlook of further US rate cutes, there appears little prospect of any near-term trend reversal in EUR/USD. Although the single currency retreated sharply Friday, it still rounded off the week with a 1.75 cent gain. The euro may be pushed up close to the 1.50 line again Monday or Tuesday and if it breaks through this key price level, it could rise rapidly to 1.51 or 1.52. There are a number of key economic releases over the course of this week, the most important being US new home sales, existing home sales, consumer confidence and personal income and expenditure. On the euro side, only a sharp pullback in November's German Ifo index might undermine the single currency, while a higher inflation figure for November (published next Friday) should keep hawkish rhetoric flying from ECB officials and boost the euro. There are several speeches from US Fed members and these will need to be monitored closely. Fed officials two weeks ago hinted at no further rate cut this year, but given the negative sentiment that has seen US stocks plunge in the plast week, any softening in tone from Fed addresses this week will be read as a probable December rate cut and severely damage the dollar. Upside targets this week are 1.4850, 1.4880, 1.4920, 1.4950, 1.4970, 1.50 and 1.51. Euro support is seen at 1.4780, 1.4750, 1.47, 1.4660, 1.4570 and 1.45. Global stock markets had a turbulent time last week but recovered Thursday and Friday while the US was on holiday. Global stock prices now reflect broader concerns about the global economy, so this is no longer exclusively about a US slowdown and bank write-downs because of subprime mortgages. EUR/USD has failed to price in any of this new reality and last week we saw the euro almost reach 1.50 against the dollar, 16 cents up from its rate in the middle of August. There is a very significant dislocation in currency markets and the euro’s price is now greatly inflated. I have no doubt the market will now wish to take out 1.50 simply because price is so close to this level, but what happens thereafter will be very interesting. A 1.50 exchange rate with a less favourable outlook for the euro economy in 2008 is going to spark quite an element of acrimonious debate within the euro community, the charge likely to be led by French President Mr Sarkozy. The ECB will be under more pressure than ever on the currency issue when they meet in early December and they may be forced to soften their stance, particularly if financial markets continue to experience the same levels of stress as in the past fortnight. We could potentially be on the cusp of a turn in the euro and at the very minimum a significant downside correction is due. The dollar must hold the 1.50 price line for now and at least get some euro supporters to believe a top has been formed in the pair. This could trigger a sell-off and a decline to 1.45. US GDP may be revised upwards by as much as 1% this week, meaning despite all the doom and gloom, the US economy will have grown by twice the annual rate of the euro economy over Quarter 3. Maintain a close watch on ECB and Fed officials this week for clues as to the next policy moves by the respective Central Banks. Any upside surprise in October’s existing home sales data from the US may also boost the dollar. Downside price onjectives this week are 1.4785, 1.4740, 1.47, 1.4650, 1.4570 and 1.4510. Resistance comes in at 1.4870, 1.49, 1.4970 and 1.50. Bears need to hold the key resistance lines early in the week, if the downside is to prevail over the next 5 days.